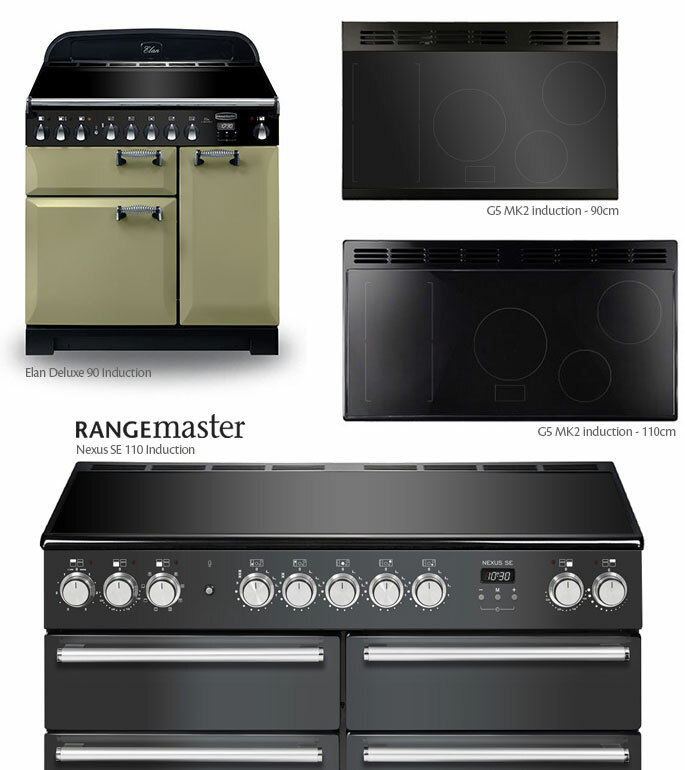 Induction range cookers are becoming increasingly popular with modern cooks who love the idea of a range but also crave the convenience of an induction hob. One feature people are increasingly aware of is a bridging zone which spans two zones and allows use of a griddle plate, and this is something range manufacturers are starting to include. We take a look at what is available. * for the Farmhouse 110Ei. Belling 100 and 110 models feature two rectangular Link+ areas plus a central induction zone; 90cm models give you two Link+ areas plus a warming area on the right - all controlled via touch controls on the hob surface. This tidies up the control facia nicely, and is so safe and easy to use. *) models, and our guess is that they will probably roll it out across other existing models in due course, making it the standard on the Deluxe format. With the rectangular bridging zone on the left and three standard circular zones centre and right, Rangemaster utilise rotary controls rather than touch screen. 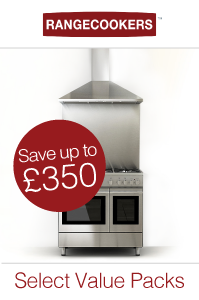 As a nice extra touch Rangemaster also include a ribbed cast iron griddle plate. We hope and expect to see more ranges coming onto the market with bridging zone induction hobs - there certainly seems to be a desire for them, and these early entries will surely fuel that desire. Induction is already very up-and-coming within the range cooker industry, as people’s needs evolve towards convenience and away from what one might call authenticity. A range is a stunning addition to a kitchen, and there is no shame in doing away with the chore of keeping a gas hob nice and clean, plus the process of cooking on induction is a very pleasant one. If you have not yet discovered it, perhaps you should give it a try.